The greatest writers in the world create the most human characters; characters who remind us of ourselves, of people we know, characters we love and characters we love to hate. But what happens when you fall in love with characters you shouldn’t, like the bad guy? Heroes, we always assume, are the good guys. But what happens when this is flipped around? There are two ways of portraying heroes and anti-heroes in a story: the hero is good and the villain is bad (the classic good vs. evil story); or the hero is bad and the villain is even worse (making the ‘hero’ appear good). This ‘hero’ is what I’m talking about. Just watch yourself fall for Mark Wahlberg and his posse in The Italian Job, or feel you want to be part of Ocean’s 11 before realising that these are high-time crooks themselves. In movies like these, who are the real bad guys then? Well, they are always portrayed as a greater evil – those who look uglier, have bigger weapons, have killed more people, have grander schemes to destroy the world. It’s not always black and white, I’m afraid. Bad guys appear as good guys, and vice versa. 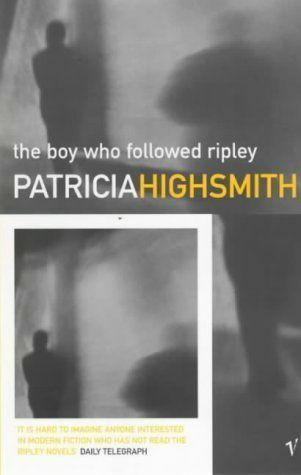 At the moment, I’m falling in love with Patricia Highsmith’s Tom Ripley… and I need to be careful. Because soon I will realise what an abomination he truly is. This entry was posted on July 3, 2011 by wanphing and tagged books, movies.